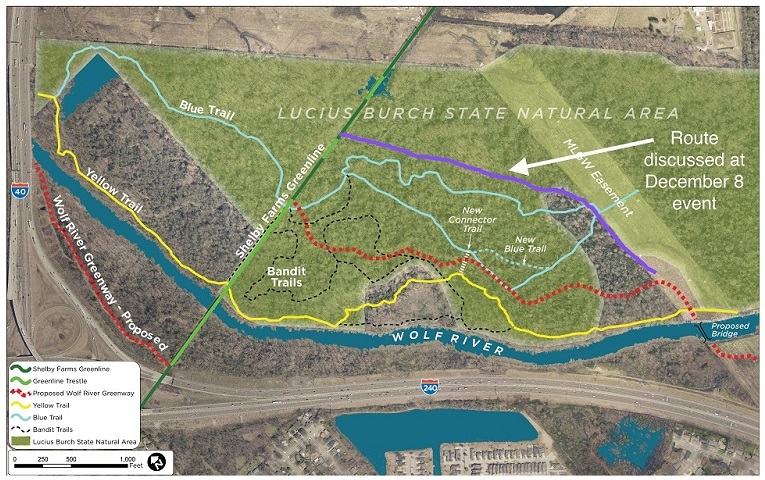 Mid-South Trails Association • View topic - Wolf River Greenway update meeting Wed. Aug 29. Mark your calendar for August 29. The Wolf River Conservancy is presenting an update on the proposed Wolf River Greenway route through the LBNA. The meeting will be at the Shelby Farms Park Visitor Center Buffalo Room from 6:00 PM to 8:00 PM. The Greenway will be connected to the Shelby Farms Greenline. If you are not familiar with this or want a memory refresh, MSTA has a web page dedicated to this issue.